We clean all types of rugs & mats from $30! At Aussiepro Carpet Cleaning, we conduct on-site rug and mat cleaning which means we come to you to do the service. We charge $30 for a standard size rug (roughly the size of a double bed) and $45 for a slightly larger rug. We charge based on size and NOT on the type of material your rug is made out of. Please be aware that we have a minimum call out fee of $120 – so many of our clients tend to get multiple rugs done at a time or have their rug cleaned in addition to other upholstery. From our experience, if you have a silk or hand dyed rug it’s best to use cold water during the cleaning process. Rest assured that your rugs and mats are in good hands. Our cleaners require you to move any furniture off your mat before our arrival. It’s also a good idea to give your rug a light vacuum and pick up anything small off the rug. It is up to you where you would like your cleaning to be done. Some of our customers will move their mats out onto a driveway or a deck. Rug and mat cleaning can also be done on a tile floor. 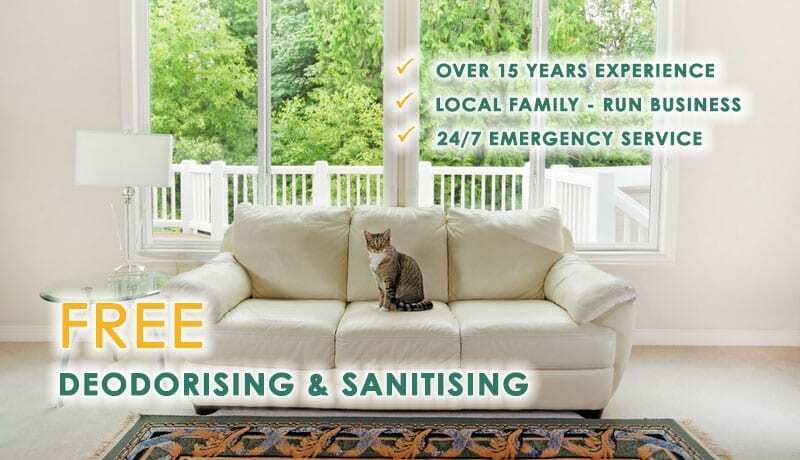 Whether or not someone is home during the time of the cleaning can be discussed with one of our service providers and we are flexible to come by your premises whenever it suits. To begin the Aussiepro cleaning process, your rug or mat may receive a pretreatment or spot treatment before cleaning depending on what kind of condition it is in. This is of no extra charge! Our rug cleaning professionals can remove dirt from deep within the fibres of any rug or mat with the power of steam! Steam cleaning rugs allows us to provide the deepest clean possible to remove dirt and bacteria while ensuring no damage is done to your rug. Rug steam cleaning is also very effective for deep set stains and odours. Our steam extraction clean pushes hot water deep into the rug and uses suction to remove the water lifting all dirt and bacteria out with it. You can expect cleaning for one rug to take approximately 30 – 45 minutes. Cleaning may take longer if the bottom of your rug or mat also needs cleaning. This is sometimes necessary if your rug has a strong stain or pet urine on it. Cleaning the bottom of your rug is of no extra cost and is included in our service. After your rug or mat is steam cleaned you will need to allow 1-3 hours of drying time. Airflow is the key to drying your rug or mat! The more ventilation the faster your rug will dry. Provide your rug with ample airflow by opening doors or windows as needed and by turning on a ceiling fan if possible. Easy to book in a cleaning within a few days – no long waits! Leave out a house key for our cleaner, leave the rug on your driveway, or be home during the service – the choice is yours! After a very thorough steam clean, our rug cleaning specialists can provide your rug or mat with extra protection with our fabric protection barrier treatment. The treatment should last up to 6 months and helps to repel any future dirt, spills, or stains. This type of mat protection is ideal for enhancing the life of your rug and maintaining its cleanliness over time. We are a family run business with over 18 years of experience in rug and mat cleaning. We’ve had extensive experience providing rug and mat cleaning services for different rug fabrics, textures, and colours. You can trust Aussiepro Carpet Cleaning to renew and refresh and rug or mat in your home. We use eco-friendly products for all of our mat and rug cleaning services we provide. We only use the highest quality cleaning solutions to restore your rug or mat to like-new condition. We offer our customers a flexible rug and mat cleaning service where we come to you and clean your rug in your home saving you any inconvenience. Call us today on 1800 888 280 or get a quote online here.